Sweet floral aromas. Buttery and vegetal with subtle notes of artichoke and lemon balm. Very pleasant, smooth yellow-green brew. Available in 50 gram Bamboo Canister. The farmers of Ali Shan take great pride in their fragrant green oolongs. Some of the best Ali Shan teas are entered into the annual Ali Shan Farmers’ Association spring harvest competition, which highlights fresh, lightly roasted, low oxidized teas from around this famed high mountain region. The competition features many quality teas, as there are high standards for purity and freshness required for entry. Our tea comes from Mr. Chen of Ali Shan’s Rei Feng Village. 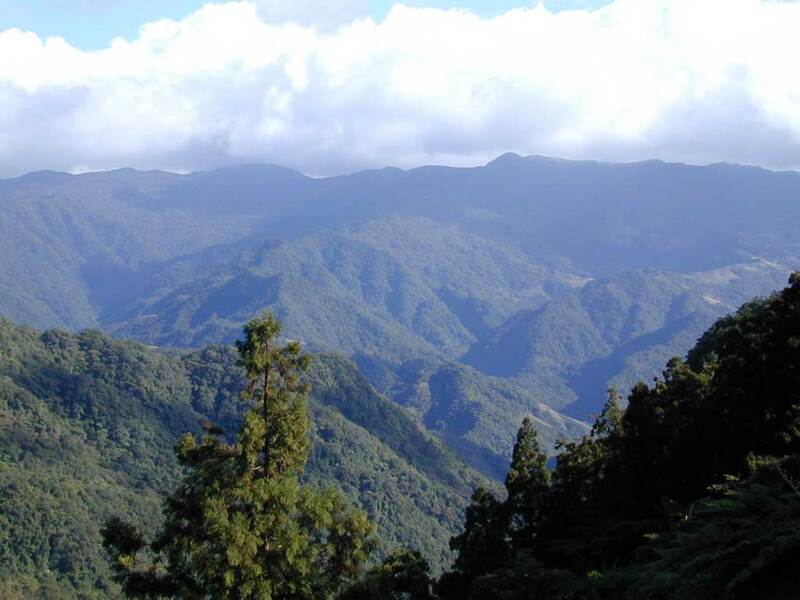 Ali Shan mountain area is located in central Taiwan and consists of 18 peaks. The region is known for its beauty and dense cloud cover. Ancient stands of cypress and brilliant cherry trees are inhabited by a plethora of birds and wildlife. Ali Shan is one of Taiwan’s best known tea growing regions, famous for its Gao Shan Cha (high mountain tea). Due to its elevation and cooler climate, the leaf grows more slowly than tea grown in other places, and therefore develops a higher concentration of sap and essential oils, which contribute to the tea’s flavor and aroma.